Sudeley Hill Farm is an impressive 15th Century stone house situated above Sudeley Castle with panoramic views over the valley. ¾ of a mile from Winchcombe, a lovely unspoilt old town which offers excellent eating places. 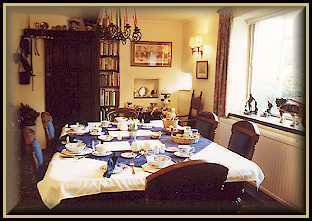 Central for touring the Cotswolds and within easy reach of Stratford-upon-Avon, Bath and Warwick. Nearby excellent walking is to be found with a host of pretty villages to explore. Numerous other activities are available locally including golf and horse riding. A friendly welcome awaits you to our family sheep/ arable farm of 800 acres. The three en suite rooms are comfortably furnished with colour TV, tea and coffee making facilities and many other extras. 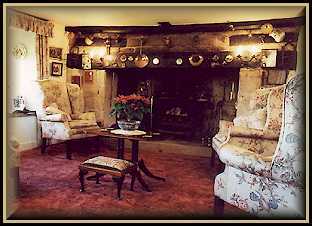 Cosy guest sitting room with log fires. Dining room overlooking the garden, which guests are welcome to relax in. Children are welcome but we cannot accept dogs and ask guests to refrain from smoking in the bedrooms. 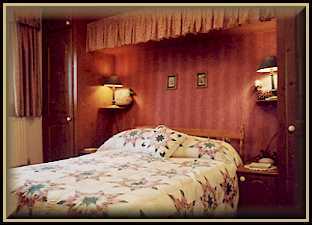 Many of our guests are recommended and return annually. Come and enjoy a farmhouse breakfast and the comforts of our 15th Century stone house, surrounded by the beautiful Cotswold countryside.